I have been walking two dogs for so long it is second nature to me. From changing hands behind my back, because someone goes right and then left, or stretching my arms so wide that you would think I was a tree, I have got this down. Yes, those are knots in the lines that you see; I do that on every leash. First, I do that so I can grip the leash lower down at certain intervals when I want to shorten up and, also so that I can drop a leash and step on it without it running right under my foot. A funny thing happens if/when I do drop someone’s lead, they stop and turn around and look at me with a ‘what’s a matter with you’ face. Do you do a leash dance? What’s yours like? 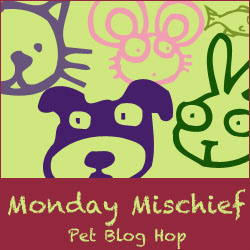 This is a blog hop. I hopped it from Snoopy. Check them out for more mischief. 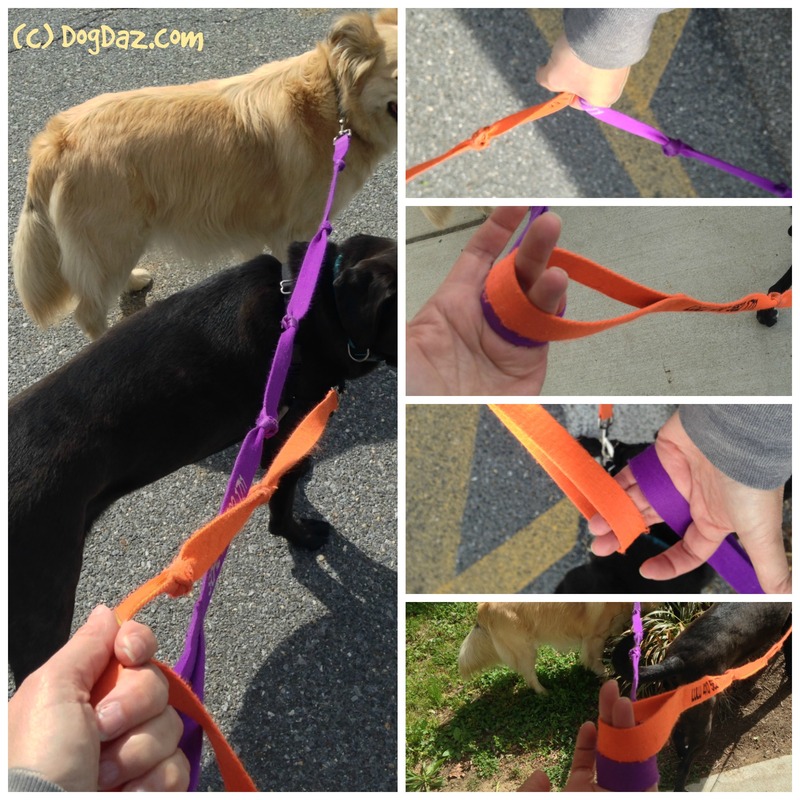 I tried the 2 dog leash thing – it was stupid! I always use 2 different color leads because who can remember who is who. You are like an orchestra conductor. I am not allowed to zig or zag or criss or cross or twist or turn. I walk next to Mom on a loose leash. If she had to do any of what you do, she would get confused, annoyed, and spastic. She is not cut out for that! It’s lucky I am a good learner with a huge brain. I put knots in my show leads also so I can get a better grip since they are so thin. Thanks. Dancing with the dogs.